I will forever be in debt to Kim Wadsworth and her kindness! 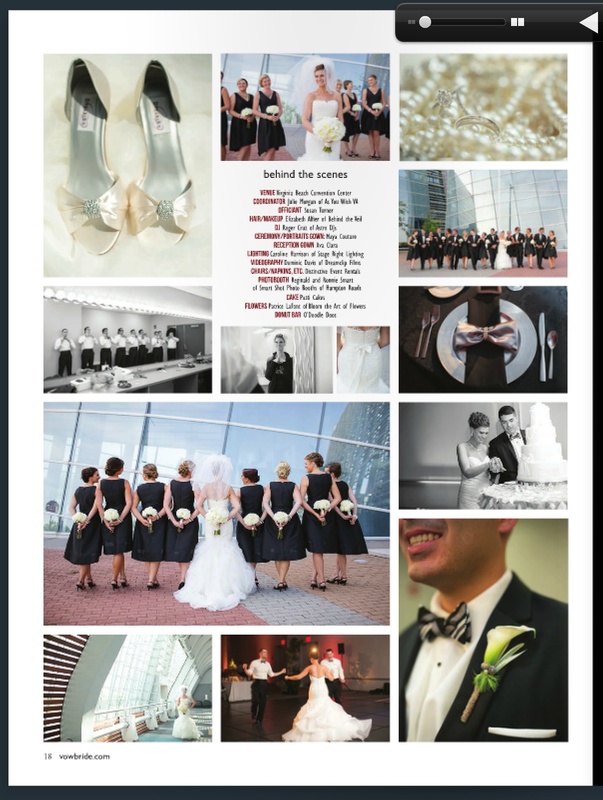 I had been corresponding with her for months before we ever met, and she LOVED Heather and Steven’s classy black and white wedding at the Virginia Beach Convention Center..so here it is, our FIRST real wedding print feature!!! At the beginning of this year I said “I just want to be in print ONCE” — it was my business goal. It doesn’t define me, my business or my skills..but it sure would be a great little achievement and goal to set! So…..it happened — three times! This is the 2nd of three features and I am so honored. This is a big deal for little ol’ me, y’all..so just know I am beyond grateful! VOW is a total class act and extremely informative resource for Hampton Roads and surrounding area brides..I’ve been picking it up and admiring for years!!! So honored, thank you Kim, Katherine Byrd and the whole team! !